I published two books: Real Food Planning Challenge and Holiday Celebrations (available for a limited time over the holiday season). For the latter half of the year, I was able to stick to my real food budget. If you’ve been around the Live Simply family for long, then you know that the last success on the list above was no small feat. My first post in 2014 was an honest confession about my overwhelming grocery budget that had grown larger than Pete’s dragon. For those unfamiliar with Pete’s dragon (remember, we are in that stage of Disney and young kids), let’s just say my monthly food bill was ginormous, in a very embarrassing way. I spent many months working on my real food budget, but at the end of each month I would sit down to a stack of receipts and feel the crushing disappointment of defeat. The calculator was a continual reminder that I had once again failed and spent more than we could afford. Now, I’m not the kind of gal that takes defeat easily. If something isn’t working, I like to investigate and strategize. I want to make things work! After three months of crushing defeat and angry words with my calculator, I decided more bite-sized actions were needed to make real food affordable. After all, real food is a lifestyle and overspending each month does not help to create a very happy or doable life! I sat down one quiet Sunday night and thought about the little habits that were making the greatest impact on our family’s budget, in a good way–happy thoughts! From that list, I created four bite-sized or weekly habits that I wanted to put into practice. Slowly, as I practiced each habit, my food bill began to shrink. Success felt so good! We live in Florida. 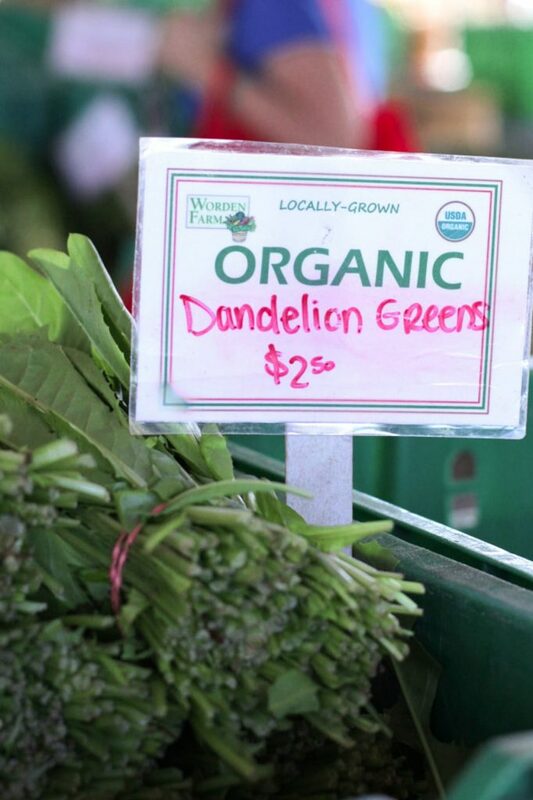 Florida is an amazing vacation spot, but sourcing real food in Florida is not easy or cheap. While many of my friends in the Midwest pay $3.00/lb for grass-fed beef, the cheapest I’m able to source grass-fed beef is $6.00/lb, and that’s for hanging weight (that just means in actuality I pay a bit more). Whole pastured chickens easily cost $4.25/lb. Raw dairy is a priority for our family. This means I spend $9/gallon on local raw milk. Again, we live in Florida. I realize this may seem like an excuse, but Florida is expensive. Part of the issues are: bugs, extreme heat, extreme rain…extreme everything! Seriously, when it’s not overly hot, there are garden-eating bugs, when the bugs are sleeping there are extreme garden-trampling hurricanes. Growing food in Florida is extremely hard! Are you getting the whole “extremely” idea? We’ve cut luxuries in our life to afford real food. I am a firm believer in making luxury sacrifices (if needed) to purchase good-quality food. This means: we don’t have cable or go out to dinner regularly, and rarely purchase movies (we have Netflix!). This also means: we enjoy amazing real food, make the best lattes at home, spend less time and money at the doctor and on medications, and get to spend a lot of quality family time together. Could I work on lowering my food budget even more? Yes! Could I raise my food budget? Oh yes! I’ve demonstrated that, and do not want to go back. My current food budget is perfect for my Florida family, nourishing: two adults, two kids, two dogs and eight chickens. 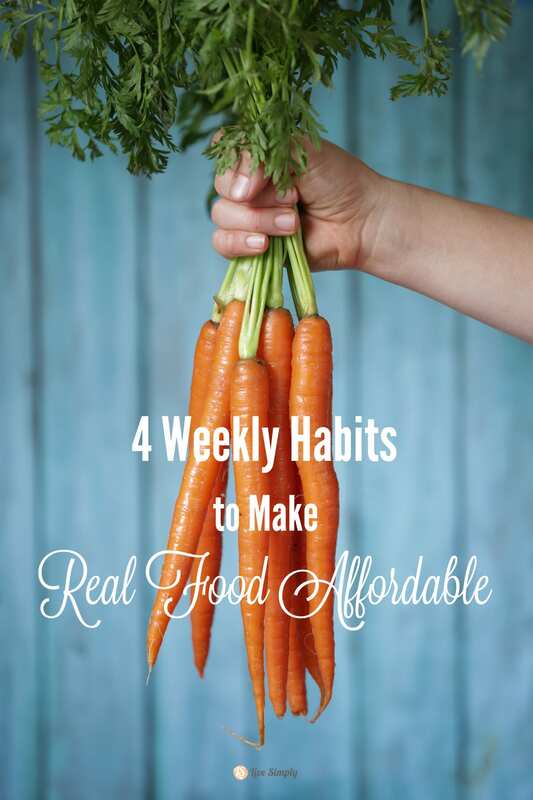 Whether your budget is $200 or $800 a month, my four weekly habits will help you make real food affordable. An inventory is simply a list of all the food items in your pantry and freezer; food that can be used to make meals. Grab two pieces of paper or the inventory printables from my book. Set aside an hour or two the first time you create an inventory. Pull everything out of your pantry, discarding or donating items that aren’t desired, and write down the name and quantity of each item you plan to keep. Put everything back in an organized manner so your food is easily accessible. Repeat with the freezer inventory. 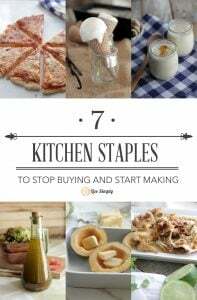 Keep these lists handy in either a binder or on the freezer or pantry door. Each week, before meal planning (we’ll talk about this about habit later), spend 5-10 minutes scanning your organized pantry and freezer, double checking if anything needs to be crossed off (i.e: you used all the oats this week to make oatmeal and granola bars) or the quantity updated. Shopping your inventory simply means shopping from your food stash before you ever visit the store or market. 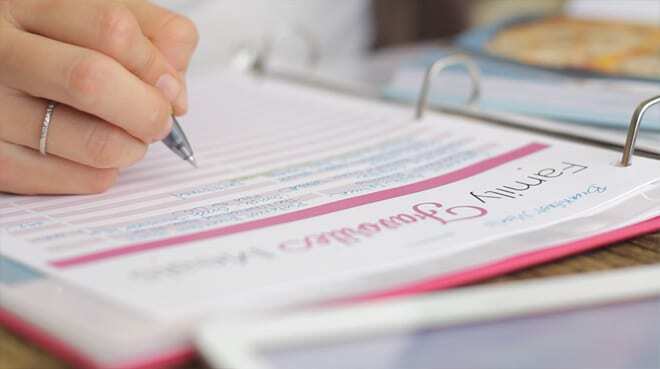 With your updated inventory lists in front of you and a meal plan calendar or blank paper with dates added (which I also provide in my book–seriously, it has everything! ), take a look at the food you already own and plan as many meals as possible. If you have oats, plan to make granola bars for a lunch treat and oatmeal for breakfast. If you have frozen fruit, plan smoothies for a snack and breakfast. 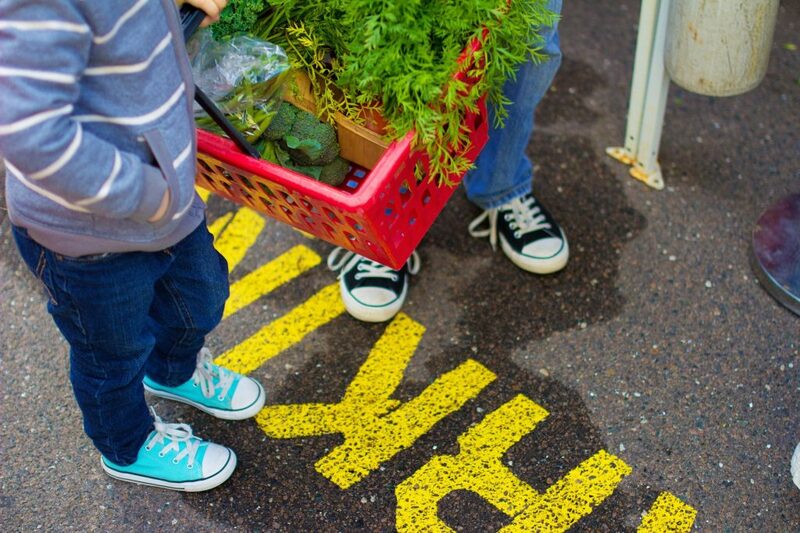 Meal planning is essential to making real food affordable. The easiest way to meal plan is to take time in advance to create a master list of your family’s favorite recipes. Keep this list in a binder or on your fridge and continue to add new meals as they become “favorites.” In order to add a new meal, you’ll also need a “Recipes to Try” list. When you spot a recipe on Pinterest, write down the name and source (website, Pinterest board name) on your to-try list. When you find a to-die-for lasagna in a cookbook, write down the name and source (page number, cookbook name) on your list. I make one new meal every two weeks. If the meal turns out to be amazing and my family loves it, I add the recipe to my “Family Favorite Meals” list. 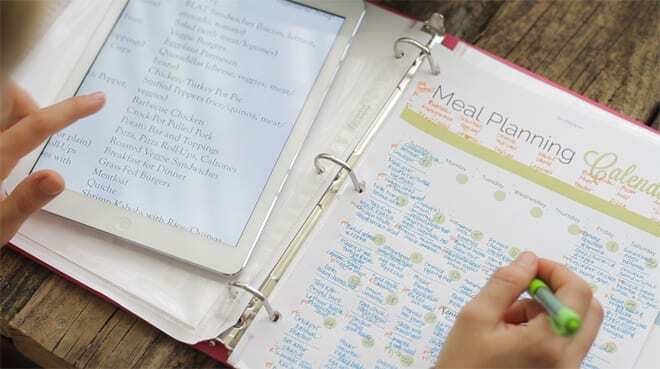 When it comes time to meal plan I check my inventory lists, write down all the meals I can make from my own food stash, and then pull out the favorite list and fill my calendar with delicious recipes. I write down each meal title and add ingredients to my shopping list. After creating and implementing a meal plan, don’t throw it away! Keep your meal plans in a safe binder or folder. After a couple of months, you’ll have an amazing collection of ready-to-use meal plans, saving you time and money! A prep day is a day/time you set aside each week (and mark on your calendar) for preparing meals and ingredients for the upcoming week. Simply set aside 1-2 hours each week for preparing ingredients and meals based on your meal plan. If Monday and Tuesday are busy days, bake muffins during your prep time and freeze them. Prepare smoothie packs, chop vegetable for soups and salads, and marinate or cook meats. 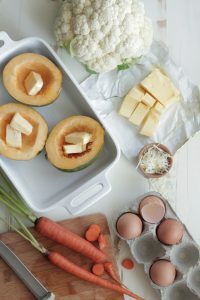 The purpose of prep day is to cut down on the amount of time you’ll spend in the kitchen the rest of week which means you will not have the desire to stop by the store and pick up an easy meal in lieu of cooking dinner, saving you money and time! These weekly habits save money, time, and sanity! Yes, they require a bit of time and practice (practice makes “perfect,” remember? ), but they also make a huge difference in your grocery budget and overall stress level. 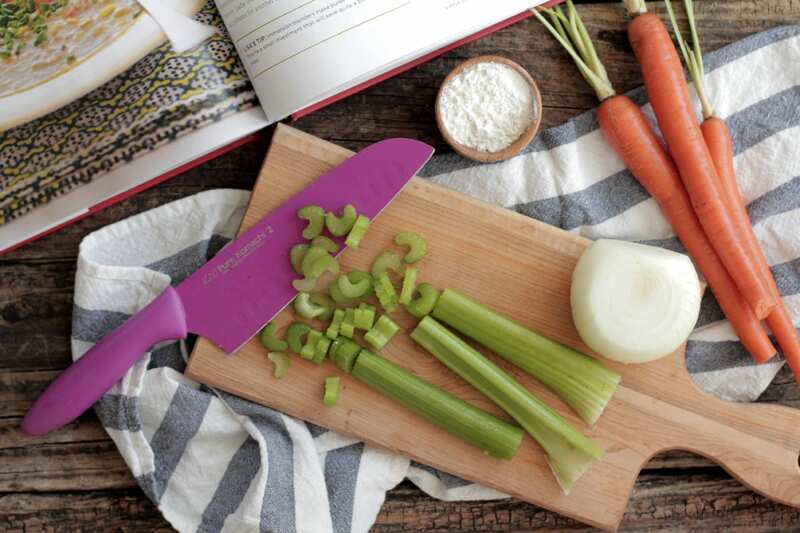 Taking time to inventory your food stash, shop what you own, meal plan (and keep it! ), and prepare food in advance are essential habits to making real food affordable. Hi! I really love your blog. I purchased a subscription to Plan To Eat around the holidays and wanted to let you know that your recipes do not seamlessly import into their system. 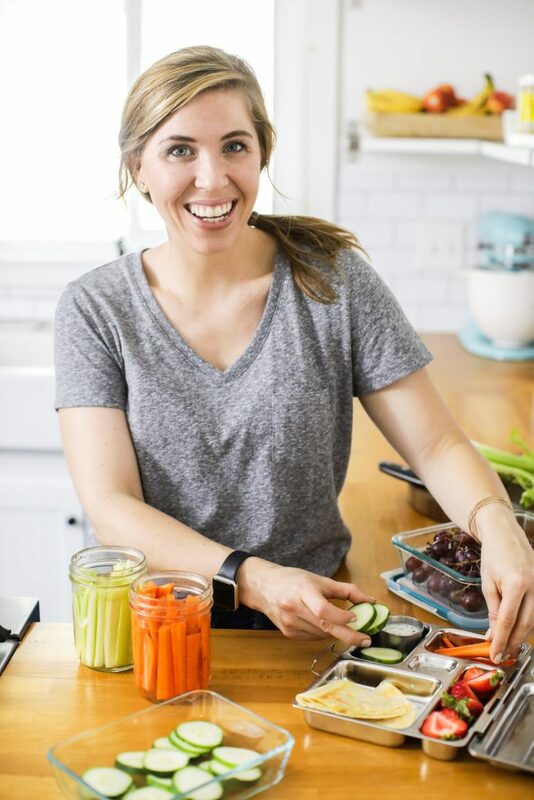 Their tool is really great for people like me who feel a mental breakdown by the time I get all my menu plans written down – it makes your grocery list for you! Anyhow, I’m a newbie at making yogurt and beef bone broth and soaking grains – but your site inspires me to give it a try! Thank you, Carole! Plan to Eat is an excellent resource. I’ll have my web guy take a look at the issue with my site and saving recipes. Thanks for the feedback. Compared to our prices here in Germany your meat is really cheap! In my little town here you can’t buy many things in bulk either, but my grandma raises chicken and rabbits and our friends raise rabbits, chicken, ducks, goose and quails so we can simply trade fresh eggs and meat for homemade things or other stuff 🙂 If I wanted to buy healthy grown meat here it would cost me way more than you guys have to spent. We can order really big packages grass fed meat for an acceptable price here (still way to expansive for a “normal” family) but than the problem kicks in that nobody who has to think about money here, has a freezer that’s big enough to put the meat in. Thank you for sharing. I love that your grandma and friends raise chickens, rabbits, and more! What a blessing to be able to trade products. When meat is really expensive and storage space (like a deep freezer) is not available, the best strategy (in my opinion) is to stick with proteins and nutrients from cheaper sources: eggs, beans/lentils, seasonal veggies, and good-quality dairy. We try to limit our meat consumption when planning meals due the higher cost, so we enjoy many dinner alternatives, such as: quiche, beans, broth-based soups, and veggie-filled pastas. Hey Inge, You’re very welcome :). It’s amazing how small little habits can make a huge difference in a budget, particularly when it comes to food. Congrats on your move…I bet Norway is beautiful!! Thank you so much, Aileen. I’ve found myself very discouraged and almost embarrassed in the past with my monthly food budget. I really think location matters when it comes to a food budget, and that’s often a missing factor when bloggers share their low budgets online. I think you’re doing an amazing job with your budget!! Thank you for sharing and the encouragement :). Thank you for sharing your budget! I get so discouraged by budgeting tips from bloggers who live in an area with a low cost of living. I’m in NJ and $6.99/lb is a sale price for grassfed meat, I usually have to pay closer to $10/lb. My local grocery sells ground grassfed beef for $5/lb, and I usually buy that to save money, but you can tell it’s the lowest quality, it’s very tough. But I could actually relate to your post, thank you! You’re very welcome, Lora! $10/lb is pretty standard here too. I purchase beef in bulk so I’m able to snag a cheaper price (although it requires quite a bit up front), but at our natural stores the price is much higher. It’s nice to know others relate :). Hey Lisa, Thank you so much. It’s taken a lot of work to stay within our budget (I definitely could spend more), but all the extra effort is paying off. You’re already off to an amazing start–creating a plan is so important! Holy schmoly, you have given me some inspiration to take a look at my out of control food budget. I actually do live in the Midwest, we rarely eat meat and I’m still spending A LOT more than that. Yikes! Oh trust me, Sarah, I was totally there last year. My budget was through the roof!! I tried all sorts of budget “hacks”–the envelope system, cash only, etc. I soon realized my issue really wasn’t the money. The key (at least for me) was planning for the food I would buy (or already owned) and using that plan efficiently. Thank you, Kelly! I 100% agree. Meal planning saves so much time, money, and stress. It’s often the one little piece of the food puzzle we neglect, but the one (in my opinion) with the greatest impact on making real food a practical (and affordable) lifestyle. I’m so thankful for the amazing resources you share on your blog and meal plans! This was a great blog post, thank you for sharing. I recently moved from Alaska to South Carolina and I find that food is so much cheaper here then in Alaska. I can actually purchase all organic and grass fed for the price of “normal” food back home. I have recently found a really great farm in Georgia that does grass fed beef, free range chickens, geese, duck and quinea along with goats and sheep. They also do all of their own butchering and are very humane to their animals which is something that is very important to me. They are called White Oak Pastures and I have been very happy with their products and customer service. Thank you, Stephanie. And thank you for sharing your experience with White Oak Pastures. I’m able to source meat from White Oak Pastures through my local co-op and always wondered about their practices! I feel much more confident purchasing their meats now. Hello!! I would love to know where you got those meal planning sheets, they are adorable! Due to food allergies and picky eating, I pretty much eat a vegan diet, which unless you live minimally, can get super expensive. My fiance and I try and have smoothies and salads for breakfast and lunch to keep the cost down, with a smoothie 50% banana they are super cheap, I love your ideas!